Last fall, I was intrigued when I heard about an all-star concert to celebrate Joni Mitchell’s 75th birthday. Like many in my generation, I grew up on Joni’s music, but since I couldn’t be there, I hoped the show would be recorded on film. Fortunately, it was. Unfortunately, it’s not as good an experience as I’d hoped. “Joni 75” was shown as a one-night-only event in movie theaters last night. My wife and I went early, expecting it to be pretty full, but fewer than 100 people showed up. That’s fine — we had room to spread out and an extra seat for our coats. The problem is that the concert wasn’t that good. Sure, there were a bunch of very talented people on stage: James Taylor, Chaka Khan, Emmylou Harris, Diana Krall, Seal, Norah Jones, Rufus Wainwright, Glen Hansard, and Graham Nash. Unfortunately, whoever chose the set list opted for too many of Joni’s slow, moody songs, and far too few of the songs she’s best known for. How — and why — would you do an evening of Joni Mitchell music without including “Chelsea Morning,” “Free Man In Paris,” “You Turn Me On, I’m A Radio,” “Raised on Robbery,” “Trouble Child,” “Twisted,” and “Don Juan’s Reckless Daughter”? In leaving out those recognizable tunes (and others), you’ve created something for people who are deep-cut loving Joni-philes, but very little for casual fans — or anyone who only knows her work through songs that got radio play. Even when we did get an upbeat song, it was given a jazzy arrangement and/or slowed down to half-speed. Who wants to hear Khan doing “Help Me” or Taylor doing “Woodstock” nearly as ballads? Why would you ever do a truncated version of “Big Yellow Taxi,” a song that’s only two-and-a-half-minutes long in the first place? I don’t blame the performers, I blame the musical directors and arrangers. “Joni 75” doesn’t work as a movie, either, thanks to the director — whose name I can’t find anywhere online (the project isn’t even listed on IMDb). Whoever it was used too much artsy camera work, instead of just showing us each singer’s performance. Instead, we got shots from behind the musicians, or between the equipment, or while the camera person was panning or focusing — the sort of stuff that’s normally left on the cutting room floor. With at least a half-dozen cameras rolling, surely there were better shots to use than a bad zoom in on the bass player’s fingers. During artist transitions, the director also included poorly-lit shots from backstage and exterior shots of the venue, the Dorothy Chandler Pavilion, for no reason. There were some highlights. Jones opened with “Court and Spark,” followed by Hansard singing “Coyote.” Those gave me hope, but then we plunged too far into Joni’s moodier material for the next five tunes, only to be pulled out of a stupor by La Marisoul and Los Lobos doing an infectious version of “Dreamland.” Later, Nash performed the only non-Joni-penned tune of the night, “Our House,” which he wrote for her when they were a couple in their mid-twenties. It was sweet, with the audience enthusiastically singing along, accompanied by 50-year-old photos of them. I wanted to hear more from him, but it was not to be. One memorable moment was Kris Kristofferson singing “A Case Of You” with Brandi Carlile. He’s had some serious health issues for more than a decade, and seemed a bit uncertain at the start, but once he started singing and playing the song — with her support and encouragement — a broad smile broke out on his face and he rallied the energy to pull it off, bringing the audience to its feet. “Joni 75” will not get a wide release in theaters, but it may show up later this year on the PBS series “Great Performances.” If you’re a real Joni-phile, it might be worth your time, but if you only know her casually, there’s no reason to watch.  Tell Alexa or Spotify to stream her music, and listen to the genius of her originals instead. 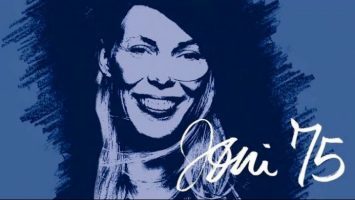 I give Joni a 10, but “Joni 75” only deserves a 3.